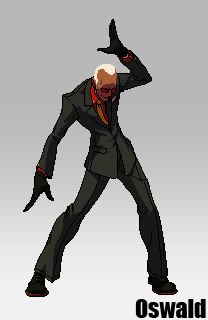 A professional hitman, Oswald is the master of the legendary art "Karnoffel" used for executions. Ash requested for Oswald to join the tournament based on rumors he heard about him. Since neither knew much about the other, the conditions for joining the team was decided in a poker game; the winner would choose to do what they pleased. 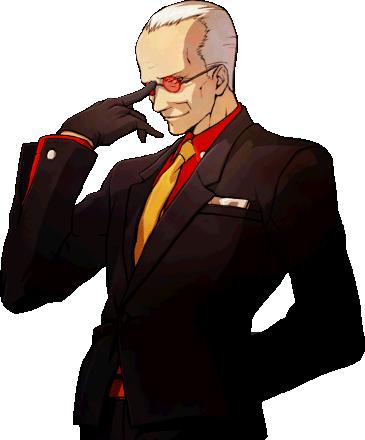 Despite having a winning hand, Oswald recognizes Ash's skill and accepts defeat - he introduces himself to his teammates then. 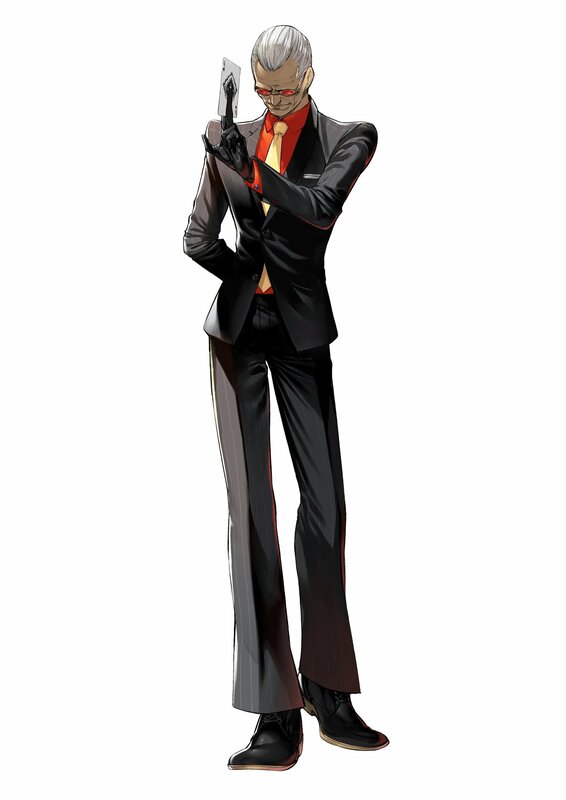 It is revealed at the end of the tournament that Oswald joins Ash and Shen Woo to obtain money and drugs named 'Dragon Pills' (or 'Ryu-gun' in Japanese). 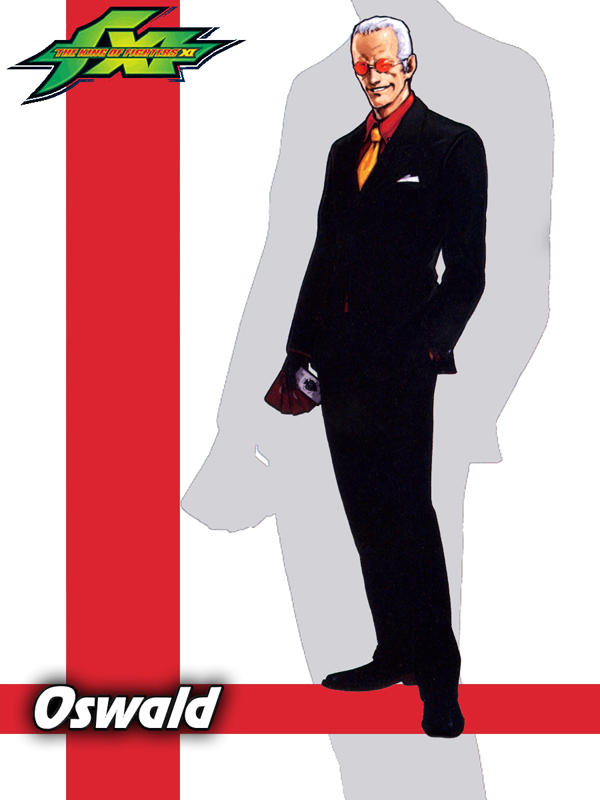 Ash agrees to give information regarding the drug to him, explaining that it can only be given to him if he defeats the provider's enemy, Shen Woo. As Ash left Oswald and Shen alone by themselves, a battle between the two took place, the winner of which has yet to be revealed; though the confirmed survival of both Shen and Oswald makes either outcome equally plausible. 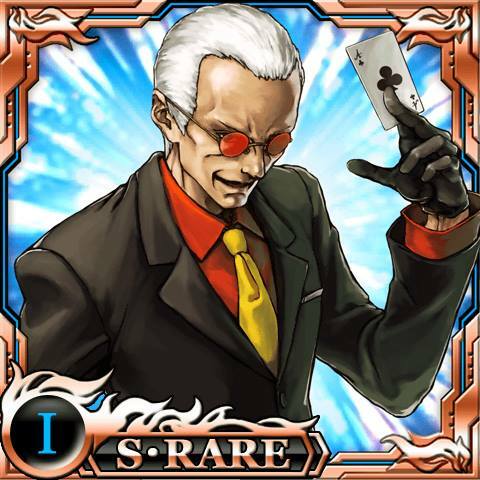 Oswald has one badass fighting stance & some rather cool fighting skills using playing cards, though he's not the first character in the fighting game universe to fight with playing cards... Looks like you've got some competition Gambit. Oswald's outfit suits him, but it's slightly simple & boring in a way. 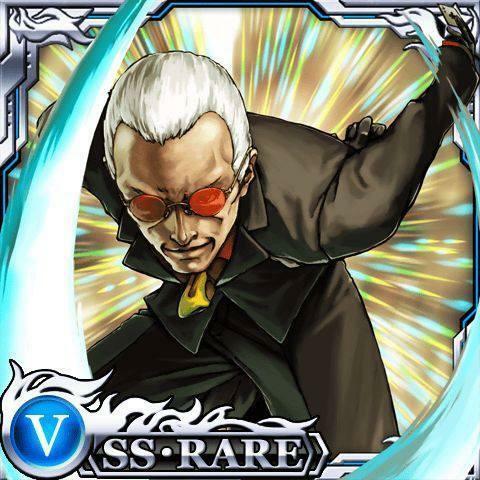 He's definitely a cool new addition to the KOF roster however.